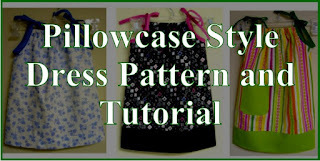 So, let's look at some of the options. 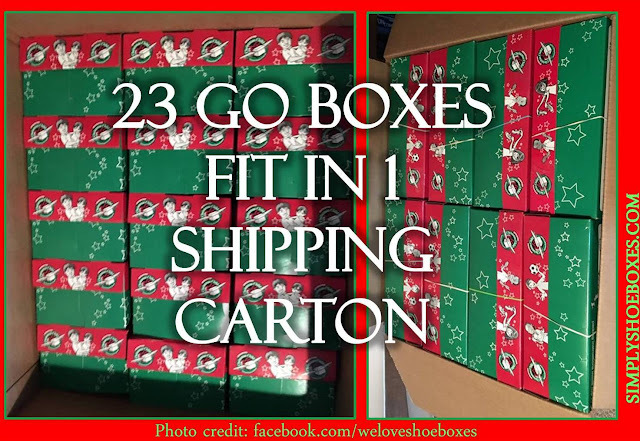 -Uniform size/shape to fit in cartons well...they can fit 23 to a carton for shipping with no wasted space! 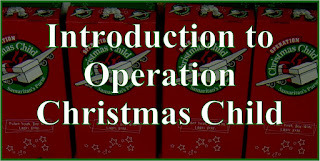 -They send cartons to churches, etc. 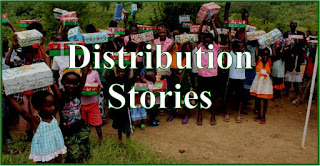 for distributions based on an estimated number of boxes per carton, with GO boxes they're sure to have enough for all the kids planned to come, there are accounts of them running out of shoeboxes if there are not enough in the cartons and kids getting ones for the wrong ages or none at all. 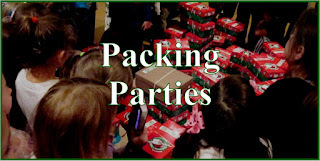 -Easy to get (order) lots for packing parties, etc. 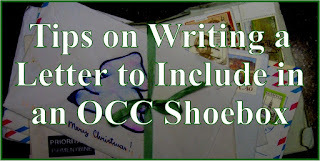 -Some people find them small to fit in everything they want to send, but you can actually get a surprising amount in them, here are some ideas on how to fit lots into an OCC GO box. -Thin walls seem a little flimsy...on the other hand, that does help squeeze things in better. 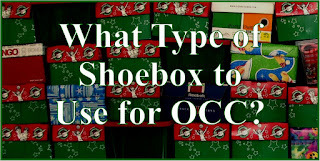 -Some can hold a little more than an OCC GO box. 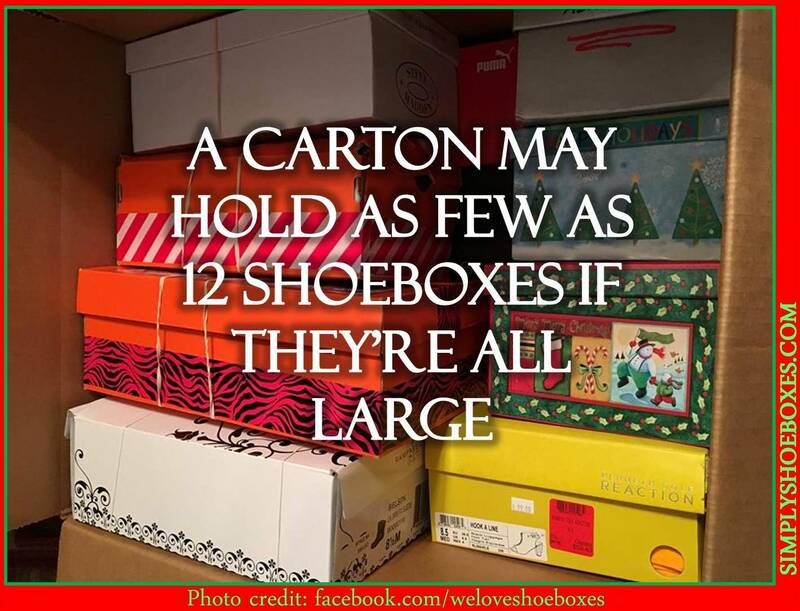 -Odd sizes/shapes can be hard to fit in the cartons. -Can be hard to decide what exactly is "regular size" Personally we plan to limit it to not over 520 cubic inches, my best guess/calculation as to how much room a basic plastic shoebox would take up. My personal boxes are normally about 350-450 cubic inches. -Holds a little more than than a GO box. 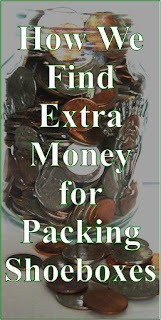 -It's odd shape can often take up much more space in the carton than what the shoebox holds. Then, there are various other options: photo boxes, tins of about the same size, etc. These can make for special boxes, but keep in mind the sizes and the issues that come with that as you can see from the above posts. 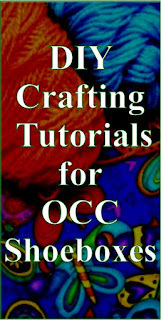 EDITED: OCC now has their own plastic boxes I hope to review soon, you can order the new boxes here. 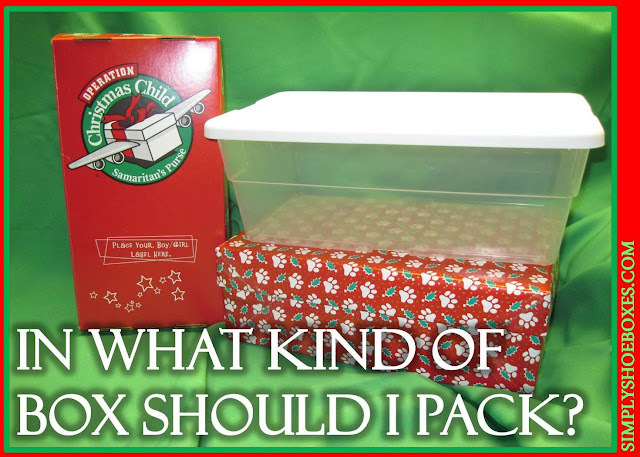 -You can fit lots of items in the shoebox, but the longer you pack, the more you can get more in even a smaller box, here are some ideas on how to fit more into shoeboxes. 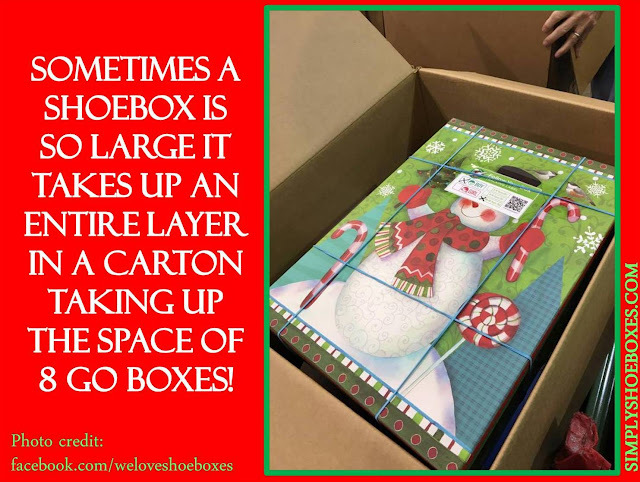 -It causes great disparity in the size of boxes (some large ones are 2 times or more larger) the children receive, which could cause disappointment/envy/etc. 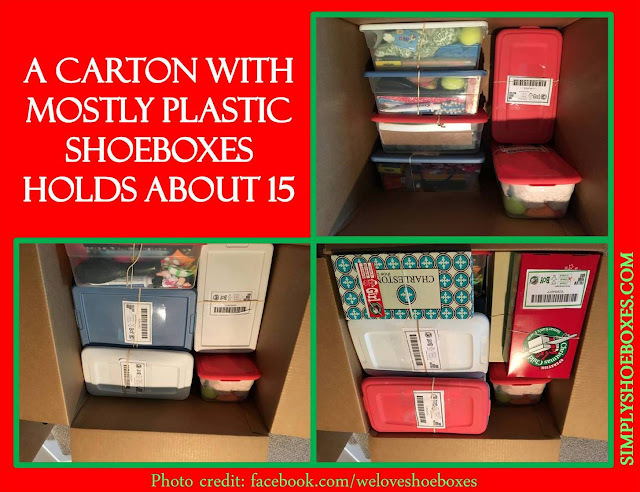 Thanks to Shoebox Shoppers on Facebook for the photos (here & here ) of the shoeboxes in cartons. 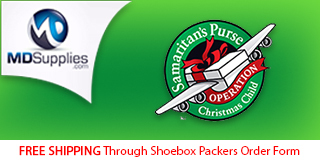 It's a great place to find deals and more ideas about Operation Christmas Child shoeboxes! 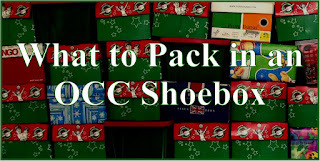 Want to see an illustration of packing shoeboxes inexpensively without shopping year round? 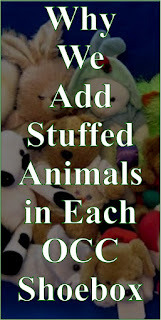 Check out this post: How to Pack Three OCC GO Boxes for Under $30. 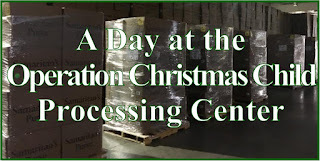 This was my first year serving at the processing center and my second year packing. I learned so much about the boxes. In our first year we spend so much time wrapping the boxes. It was so easy the second year to use the go boxes. The first year we had some boot boxes and we had to put extra items because they looked empty. The second year, we couldn't believe how much goodies we could fit in the go box. 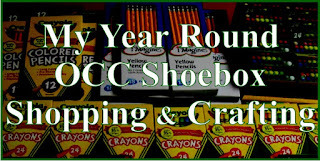 Finally, at the processing center it was clear how different it would be for a child to receive a smaller box versus a go box or a boot box. And I saw several cracked plastic boxes. 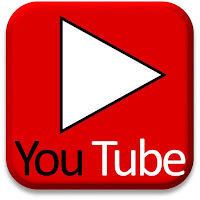 We will be using the go boxes in the future!